What happens when a pin up photographer gets their hands on a awesome retro style scooter? Vintage mini photo shoot special! The amazing owner of Ithaca Scooter and Cycle is graciously lending me his adorable pink Stella scooter as the perfect prop for the coolest vintage styled shoot you’ve seen since my Christmas Pin Up Series! 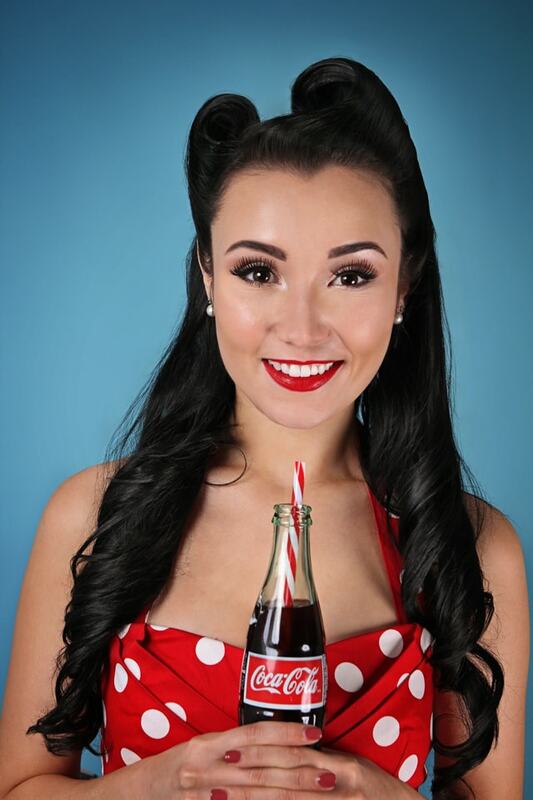 – A 30 minute photo session with cool props to help set the perfect vintage scene. – 1-2 outfit changes + inspiration board prior to shoot to help you easily put an outfit together from things already in your closet. – Pose coaching! Don’t worry about not knowing what to do in front of the camera or feeling silly – I will show you poses and guide you through the process so we nail a look that is flattering and perfectly pin up. – 5 fully edited, high resolution digital images with personal use print release. Share them online with friends and family, or print a cool shot for a special someone. When: April 16-17. Limited spots available! Where: My studio in Ithaca! 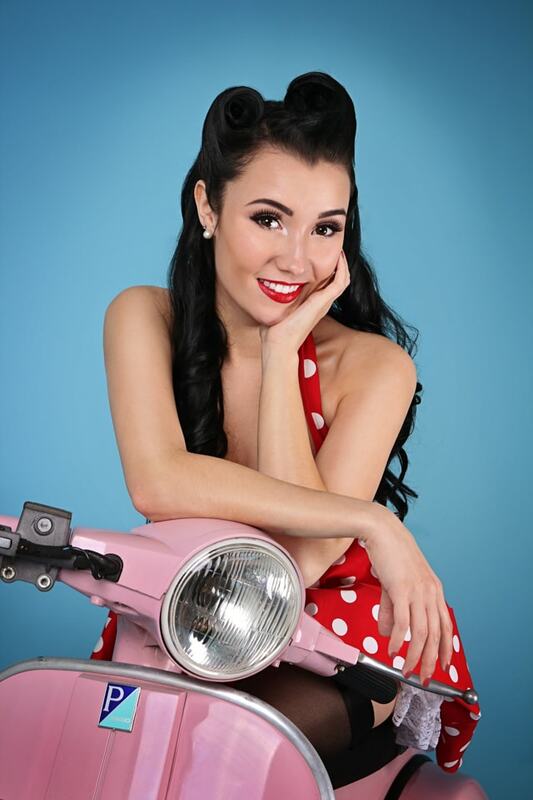 What: A classic styled pin up photography session with the coolest retro style scooter! As I will be packing several mini shoots a day, unfortunately I will not be able to offer any hair and makeup packages to combine with this shoot. Still interested in some help with hair and makeup? Let me know and I will make recommendations for other local artist, who work at their own rate. To reserve a spot, please email nellie@nelliehariphotography.com | $30 deposit required to secure slot. Cannot be combined with other shoots.